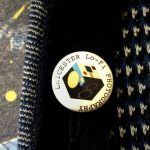 Membership to Leicester Lo-Fi is open to all. I year Membership is £60 and will give you reduced rates on the evening darkroom sessions and film processing. Your first visit is free, so you can get a feel for the place and see if its suitable for your needs. When you decide to join you will be given a basic induction into the darkroom as part of your joining fee. To sign up come along to one of our evening sessions or workshops and fill out a form.